We are excited to share some of our most recent accomplishments. We are proud of the hard work and beautiful craftsmanship our professional team has brought to fruition and wanted to share these recent headlines with you. Hartford Magazine published it’s 10th annual best of Hartford coverage where local readers and citizens contribute to surveys about what they love the most about where they live. Aqua Pool & Patio is happy to have received the 1st Runner-Up prize as an award-winning pool designer and installer of the highest quality pools, spas, and poolscapes. 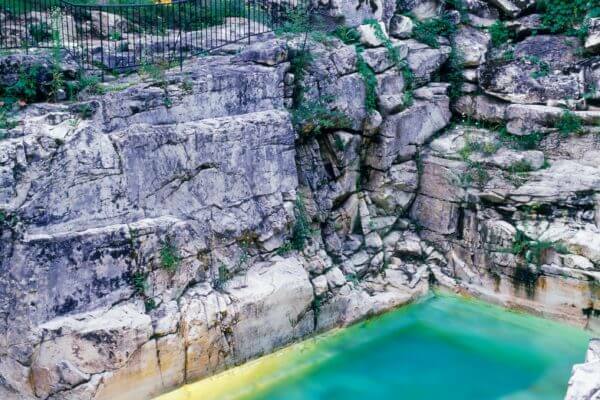 g, circulating, and automatically cleaning pool without compromising the natural rock formations and degrading the integrity of the local natural surroundings. 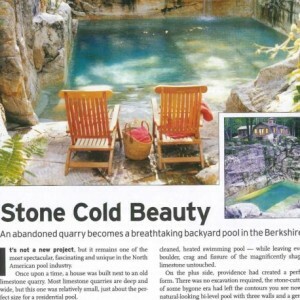 Aqua Pool professionals approached the challenges this project proposed with creativity and ingenuity that produced a breathtaking product that capitalizes on nature’s effortless beauty and is a pinnacle of pool building achievement. The next news item we’d like to share with you is our annual ranking in Pool Spa News. 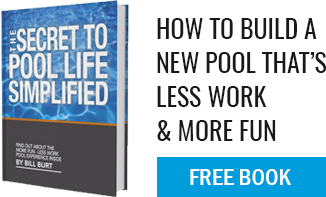 Each and every year, Pool & Spa News unveils their Top 50 Pool Buildersby judging on five criteria items: Revenue, Staff, Industry Involvement, Web Presence, and Community Involvement. Aqua Pool is proud to announce that for the 2013 list, we have come in at 18th! This year the winners ranged from volume to high-end companies, and with more fierce competition in the market! We are proud to represent the Connecticut area. Read more about how the companies are ranked, see the list of other top 50 companies, and watch a slideshow of the business owners speaking about the biggest trends they’ve seen developing recently in the pool industry here. Michael Giannamore, VP of Aqua Pool & Patio, lists internet enabled automation as a hot new trend to watch out for this next calendar year. Stay tuned for future horn tooting as Aqua Pool & Patio continues to create unparalleled pool projects!